We’re entrenched in a culture which objectifies and reduces people to the sum of their looks, and judges them on their outsides before the content of their character is ever known. If it’s choosing to wear makeup and dressing to impress, then #BeReal. If it’s bare-faced and dressing for comfort and practicality, then #BeReal. If it’s sweaty and happy after a good workout, then #BeReal. If it’s hanging out with a beer, chillaxing, then #BeReal. If it’s enjoying good food and good company, then #BeReal. 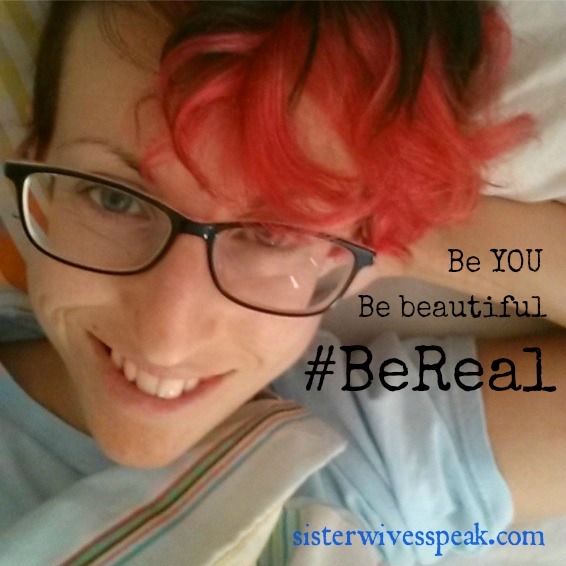 If it’s family time or snuggling with pets or curling up alone with a book or Netflix, then #BeReal, and SHOW IT! So I have a challenge for you – I want you to take this hashtag and set it trending. 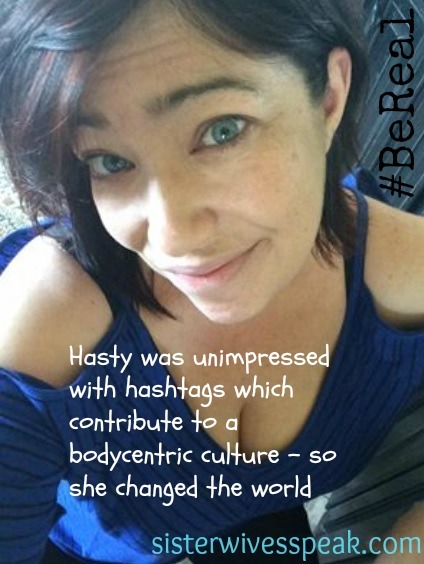 I want you to share this post AS FAR AS YOU CAN, because Hasty’s message is important for EVERYONE, and already I’ve seen many, many people join in the movement, sharing their ‘just as I am right now’ selfies, and tagging to show that they can #BeReal…because let’s face it – once the filters are off, we can see the beautiful souls behind the screens so much more clearly. The world is READY for this movement. Our body-obsessed culture NEEDS this movement. There is not a person who won’t benefit from a new way, which supports putting people first. Go on, #BeARebel – show yourself off, exactly as you are, because YOU ARE WONDERFUL. Show yourself off on Twitter, on Instagram, on Facebook, on Tumblr, in Real Life, and be YOU. Be Beautiful. 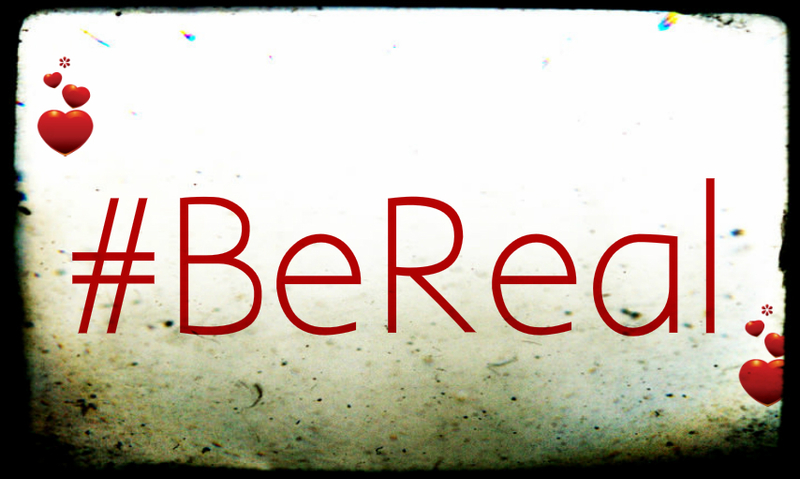 #BeReal —> Help us spread this much needed message. PLEASE SHARE USING THE SOCIAL MEDIA BUTTONS BELOW! THANK YOU. Way to go. Let’s hope this message spreads far and wide. Ahh! So happy to see you & Hasty on here, Lizzi! This is one of my favorite blogs! Congrats & love to you both. Fantastic post!!! By all means, let us be who we are in all our wonderful, amazing and imperfect glory! This post is inspiring, and thank you so much for it! I do succeed in dropping the mask. Is it mask or walls. I do my best to be real anyways.